Older gravity boilers are common in the city of Minneapolis. Homeowners often decide to replace their boiler because they tend to require a lot of maintenance and take up a large amount of space. Some gravity boilers are covered with asbestos, which if inhaled can lead to deadly diseases. A licensed abatement contractor is required to remove the boiler and associated piping and a licensed boiler/hot water heating contractor is required to install the new boiler. Boilers are designed to be replaced every 15 to 20 years in severely cold climates like Minneapolis, Minnesota. 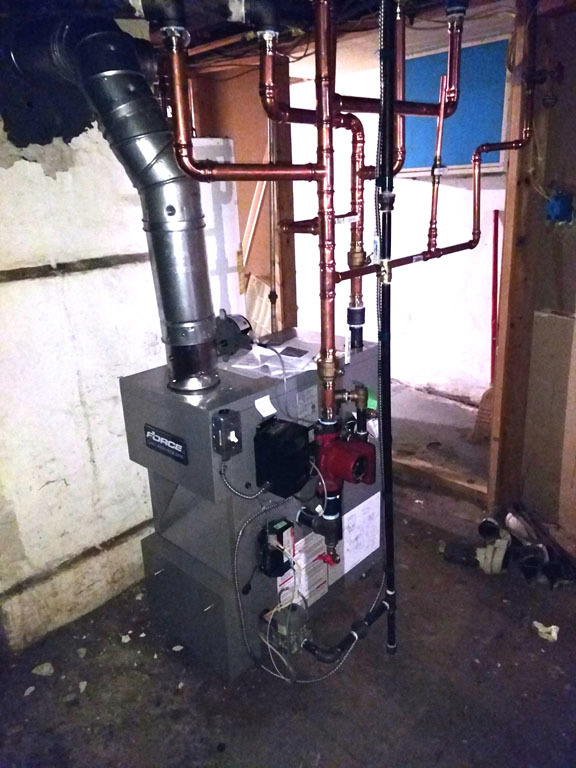 When searching for new homes in Minneapolis, perspective buyers are often hesitant to purchase a home with an old gravity boiler as they prefer to have a modern boiler instead. 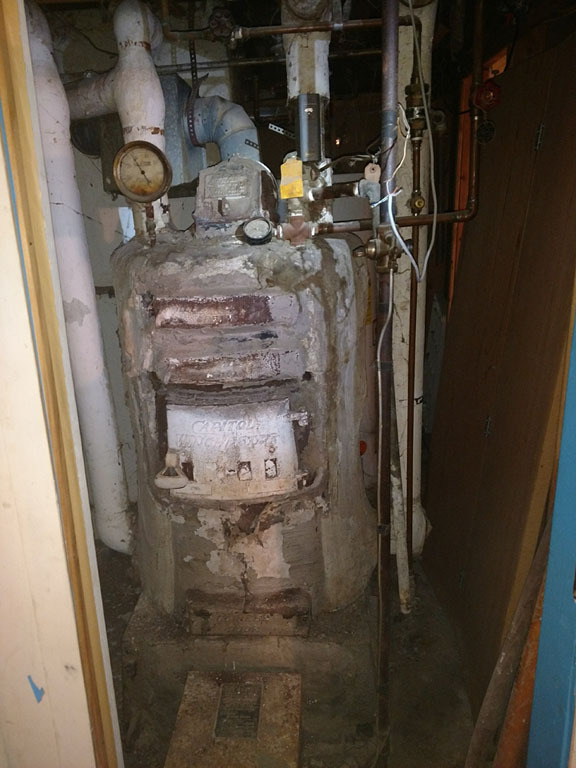 Recently, a property investor hired Mill City Heating & Cooling to replace an existing gravity boiler and radiator for a house he was remodeling, as he was concerned perspective homeowners would not be interested in the property due to the old gravity furnace. Mill City Heating & Cooling provided a licensed abatement contractor to safely remove the gravity boiler and tied the new boiler into the existing gravity piping system. As a licensed Mechanical Contractor in Minneapolis and Saint Paul, Mill City Heating & Cooling provides full professional and worry-free gravity boiler replacements for residential homeowners, realtors, investors, contractors and local businesses in Minneapolis, Minnesota.